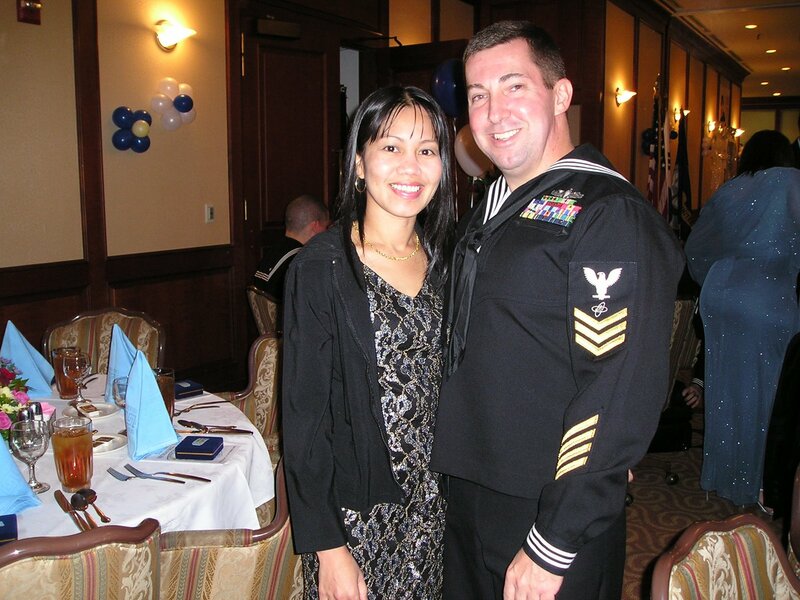 The photo below was taken during the Navy Ball 08 when I was stationed in Korea. This is the first and last ball that both my wife and I attended together. I just wish that I met my wife on the first time I have been station in the Philippines way back in 90s, she could have enjoyed many places I have been. I guess it wasn't the right time yet. So sorry hon for neglecting to join Nostalgia, this school things is just getting into me that I don't have much time for this blog. The best moment you both ever have. thanks for the comment. you both look stunning...I miss going to the ball. Whatta couple! The firsts certainly leaves marks to the memory forever. that's a lovely photo! thanks for visiting my color connection entry at our home and haven featuring our home schoolers. you asked if i have 5 kids-- no ,we only have two but we have 3 other kids our kids are homeschooling with. It's difficult to get into international schools here in Bangkok and very expensive so we pooled our resources together and homeschooled our kids together. That way, it's more fun! Perfect couples :-) Good luck in your schooling John.